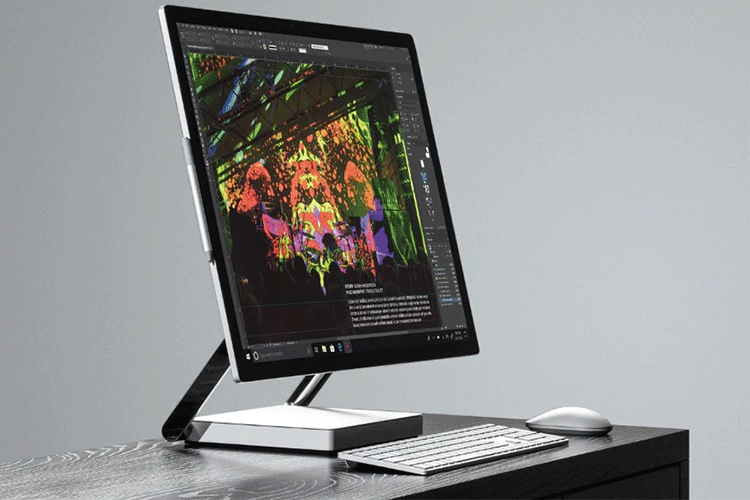 Microsoft also announced the new Surface Studio 2, aimed at creative professionals,which has a refreshed design, along with upgraded internals. The company also unveiled the all-new Surface Headphones Bluetooth headset, which is the first Microsoft-branded audio accessory in the Surface family. 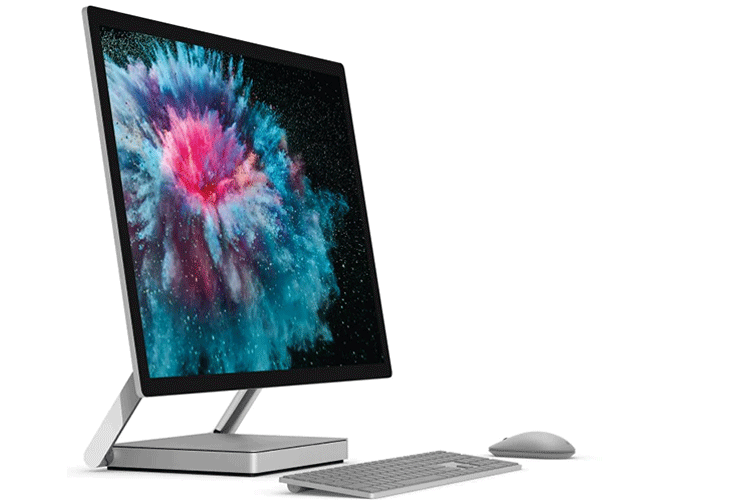 The Surface Studio 2 is billed as the ‘most powerful Surface ever’. Despite that name, it doesn’t get the latest Intel Core i9 processors, but is powered by the Intel Core i7 7820HQ processor with 4 cores and 8 threads. You can configure it with either 16 or 32 GB of RAM, and with either a GTX 1060 or GTX 1070 GPU. The top-end SKU with 2TB of storage, and 32GB of RAM with the GTX 1070 will run you $4,799. 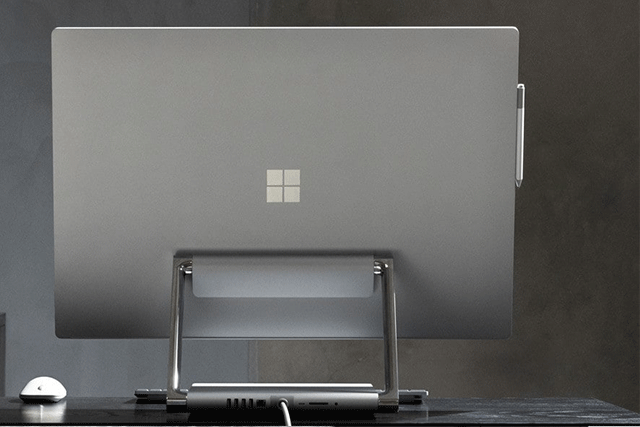 Of course the dominating feature of the Surface Studio 2 is the massive 28-inch display. The panel is called a PixelSense Display and has a 4500 x 3000 pixels resolution with (192 PPI. Just like the Surface notebooks, it has a 3:2 aspect ratio, so if you are already using one, you should not have any issues adjusting to the taller aspect ratio. The base of the Surface Studio, which holds the hinge for the swiveling display, also has plenty of ports. You get a four full-sized USB 3.0 ports with one that can charge devices even in standby mode. It has a full-size SD card reader compatible, a USB Type-C port, which is missing in the Surface Laptop 2, a headphone jack and a Gigabit Ethernet port. The Studio 2 is also compatible with the Surface Dial, which lets you tweak settings and various elements when using a pen on the display. You will get a Surface Pen in the box, along with the Surface Keyboard and Mouse. Microsoft says the new headphones “complete the Surface experience”, which may be a bit too outlandish, but the headphones to match the overall aesthetic of the Surface lineup. The variant being shown around by Microsoft has a matte grey exterior with rounded corners, a circular main speaker unit and an over-ear form factor. The ear cups feature a soft foam material and are said to be light and breathable. 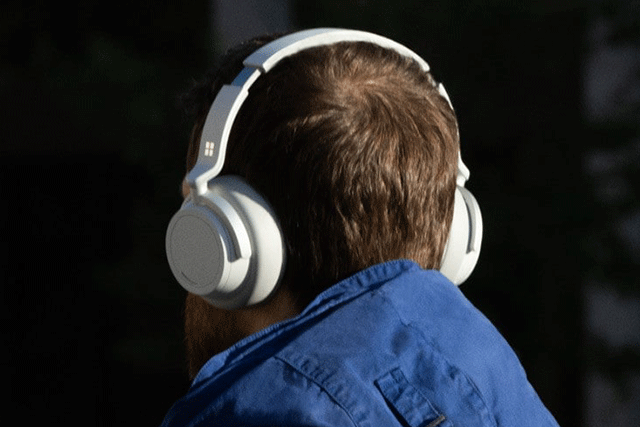 In terms of specs, the Surface Headphones have 40mm free-edge speaker drivers, and support for Swift Pair, which lets you connect instantly to Windows PC. Microsoft also promises up to 15 hours of battery life and USB Type-C fast charging for 1 hour of playback with 10 minutes of charging. The headphones can get fully charged up in 2 hours, Microsoft claims, which is pretty good. For noise cancellation, Microsoft claims up to 30 dB for active NC and up to 40 dB for passive noise cancellation. The circular main unit also has a touch-sensitive pad which lets you adjust the noise cancellation effect, control volume and playback and your interactions with Cortana. You can also use voice to adjust volume and control playback. The Surface Headphones can bring up Cortana to help you perform tasks such as playing music, web searches and starting Skype calls. You can also get Cortana to give you alerts on the headphones.